Custom software development is a wonderful service. This service is special due to the amount of benefit it can provide. There are a lot of different companies out there that are looking for custom software development service. They seek such service to have a software that completely suits their need. Because having a completely tailor-made software can provide a lot of positive impact on the business side. Custom software development can be important for any companies regardless of the size and industry. Custom software development service is what can give you the ultimate solution to your software related need. Who needs custom software development service? Following situations are the time when a company needs a custom software development service for their company. Sometimes various businesses want to have software that has the design and structure of their own style. For them, custom software development is a must. Because generic software usually come up with its own design and structure. This design might not be wanted by the company owners. The design sometimes doesn’t even have all the modules to perform their need. This is when custom software development is needed. A company may have the variety of employees with different knowledge level and background. So, a software that needs high expertise might not be the best option for employees of different skills and levels. For having a software that can help all employees to utilize it well, companies need custom software development. 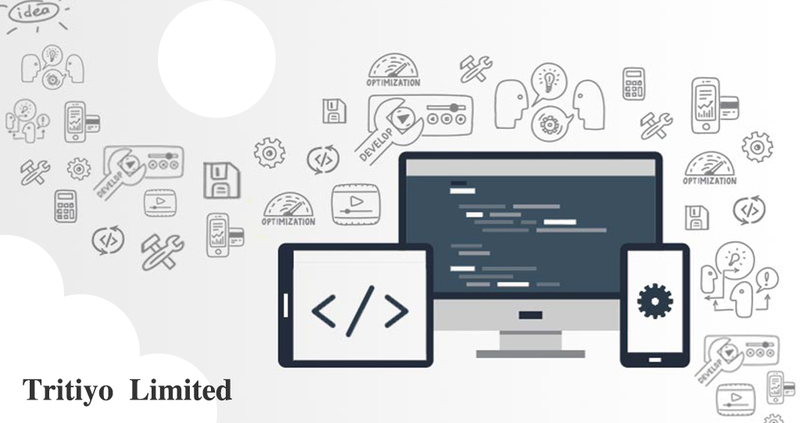 With custom software development service, businesses can get their software that will enable their employees to work with ease. is a great service. But the problem with these services is that companies that provide custom software development service may have low work experience. But you can definitely trust us. Because Tritiyo Limited has more than 10 years of experience in the IT sector and has been providing custom software development. So, if you want custom software development service then do contact with Tritiyo Limited.